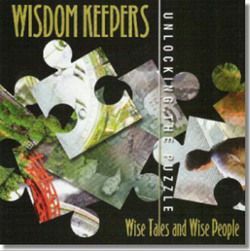 Preface the lesson by telling the students that Alexander, a child about their age, is having a bad day. In fact, it is a terrible day. You could even say it was a HORRIBLE day. 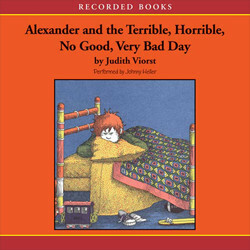 Alexander calls it a terrible, horrible, no good, very bad day. In fact, he wants to move far away. Maybe Australia. 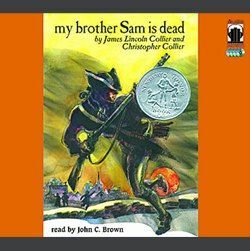 As we listen to the story about all of the things that make Alexander’s day so terrible, horrible, no good, and very bad, listen carefully to what is happening around him. For example, you will find out that he is upset because he gets in trouble for hitting his brother. Are we supposed to hit brothers? There are quite a few things about which Alexander could use a friend, and some good advice. Listen for those problems, and think about what Alexander could do to prevent those things from happening. Discuss some of the events that upset Alexander. • Getting gum in his hair. • Getting a bad seat in the car. • Being called a “third best friend”. • Having a cavity at the dentist. • Knocking over the books at his father’s office. • Being served vegetables he hates for dinner. Ask students to write down a list of rules or “tips” for poor Alexander. If students are not yet able to write independently, model writing the sentences they dictate, or fill in the blanks, on the board or on chart paper. Each situation that Alexander encounters could be made more positive. For example, if you don’t chew gum in bed, you won’t wake up with gum your hair. If you get a seat you don’t like in a car, you can ask the driver if you can have a different seat the next time. Challenge students, as a group, to each come with at least 1 tip for Alexander, and share it aloud. Keep a master list for the whole class to avoid repeated answers. The rules they share for Alexander should be direct solutions (or preventative measures) related to the problems he has in the story. Summary: Instead of asking students to relate to Alexander’s problems, ask them to think about solutions they found when faced with challenges or bad news. This activity can be used as part of The Daily 5/CAFÉ activity. Students can be challenged to expand their vocabulary by using interesting and new works in their writing. For example, instead of saying, “Alexander should eat his lima beans,” the writer could say, “Alexander needs to eat legumes and other fresh vegetables every day.” Students demonstrate their understanding of the story by creating complete sentences that are appropriate to the situations Alexander experiences. Instead of first rolling the ball to a child to identify two rhyming words, say one word and then roll the ball to a child you call by name. The child must give a word that rhymes with your word to roll it back to you. Continue around the circle several times so everyone has multiple chances to rhyme. In the story, Alexander talks about moving to Australia, when he really just means a far away place. In the version published for Australian audiences, Alexander says he wants to move to Timbuktu.